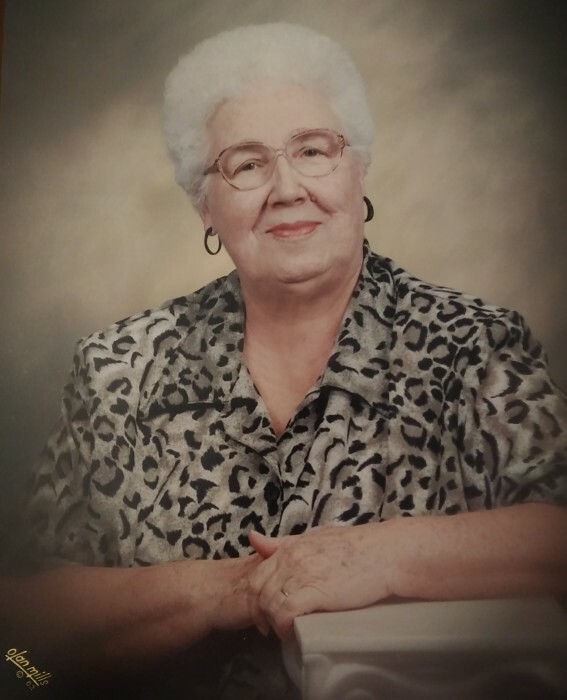 Martha Lee Stone, age 83 of Baxley, passed away Saturday, August 25, 2018 at her residence. Mrs. Stone was born September 4, 1934 in Baxley to the late Robert Lee Edwards and the late Ola Olive Hollis Edwards. She was a member of Melton’s Chapel United Methodist Church. Mrs. Stone was preceded in death by her husband, Wendell Stone, son, Ronnie Stone, sisters, Elaine Adams and Louise Marsh and brother, Robert Edwards. Survivors include her daughters and sons in law, Debbie and Royce Skinner and Wendy and Alan Johnson; daughter in law, Sharon Stone; sister, Peggy Stone and 8 grandchildren and 11 great grandchildren also survive. Graveside services will be held Monday, August 27 at 11:00 AM at Melton’s Chapel United Methodist Church Cemetery. Rev. Danita Knowles will officiate. Active pallbearers are Justin Hooks, Josh Stone, Brent Johnson, Marc Johnson, Matthew Johnson and Derek Skinner. Visitation will be held Sunday evening from 6 until 8 PM at Swain Funeral Home.